Valentine’s Day is all about showing love and appreciation. For romantics, February 14 is never complete without gifts, gestures and going on a date with a loved one. Spend a romantic day with a loved one in a cozy coffee shop with casual ambience and great food. 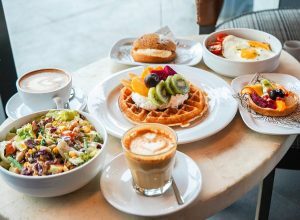 Get your coffee fix and enjoy all-day breakfast servings at Abaca Baking Company at Level 1, The Terraces. Treat Street at Level 2 serves biscotti and homemade brownies good for sharing; while UCC Café at Level 1, The Terraces serves waffles and French toast best paired with their brewed or iced coffee. One can also delight in the bestselling Frappuccino selections at Starbucks Coffee at Level 2, The Terraces and Level 4, garden area; and Seattle’s Best’s classic Freshly Brewed Coffee at Level 1, The Terraces. For a delectable midday feast, a wide selection of restaurants await with various cuisines that will take diners around the world. Enjoy American-style dining at Casa Verde at Level 3, The Terraces; and Oh Georg! at Level 1. Head to Brique for an Asian-Italian food fix or satisfy one’s Japanese food cravings at Pepper Lunch, both located at Level 4, garden area. 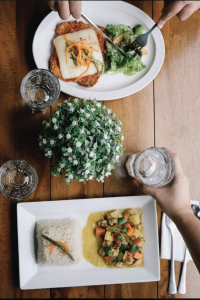 One may also try the classic flavors of Vietnam at Phat Pho at Level 1, The Terraces; or the traditional Mexican food at Red Lizard at Level 4, near Cinema 1. Book a table for two and enjoy a romantic date night with good food and good company. 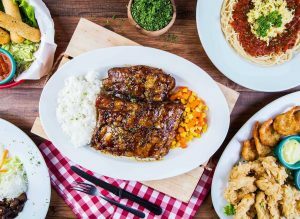 For an Italian food fix, drop by La Tegola and Italianni’s both at Level 1, The Terraces or delight in the handcrafted pizza and housemade pasta at Tavolata at Level 4, garden area. For an Asian fusion cuisine, try Ettas; and for American-style dining with hotel-inspired interior, visit The Suite Room, both located at Level 4, garden area. Cap off your date with delectable desserts from mouthwatering cakes to the all-time favorite ice cream. For a hint of sugar rush, taste Dairy Queen’s popular blizzard ice cream at Level 4 Food Choices; have a scoop or two of Gelatissimo’s gelato at Level 1, The Terraces; or try Cold Stone Creamery’s signature ice cream at Level 4, garden area. For desserts paired with rice meals, salads and sandwiches, visit Dessert Factory at Level 3, The Terraces; Fudge at Level 4, garden area or Maître Chocolatier at Level 1, The Terraces. Valentine’s is not just for couples, it is also about celebrating the bond and relationship between friends and family. 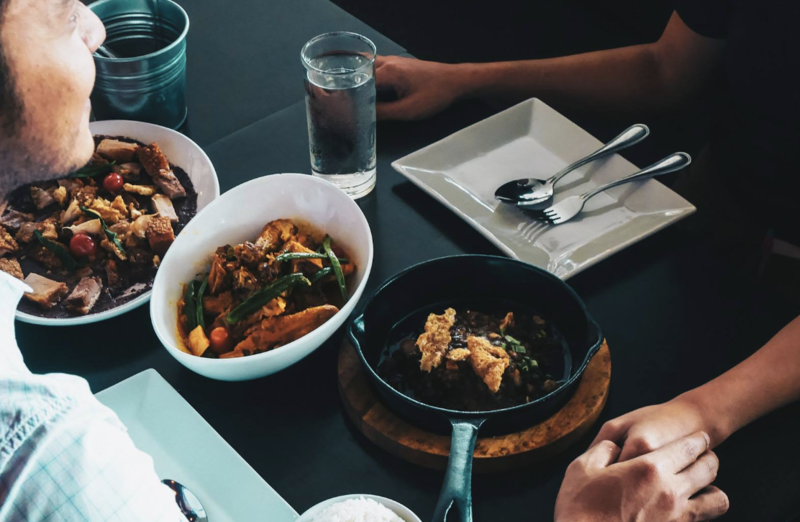 Choose from the delectable American cuisine at T.G.I Friday’s at Level 1; Siam’s Thai cuisine at Level 1, The Terraces; and Filipino cuisine at Laguna Garden Café at Level 1, The Terraces and Café Laguna at Level 1. Don’t miss out on the bestselling Crispy Pata at Hukad at Level 2, The Terraces and Golden Cowrie Filipino Kitchen at Level 4, garden area; and Grand Majestic’s bestselling plain siomai and plain rolls at Level 4, garden area. Valentine’s Day is a time to spend with loved ones, so take the time to eat one’s heart out and enjoy a day of food, love and leisure. For updates, contact 888-3790, like Ayala Center Cebu at www.Facebook.com/AyalaCebu and follow @AyalaCenterCebu on Twitter and Instagram. Love is in the air and as the Day of Hearts approaches, people scramble to buy flowers, gifts, and greeting cards. With the wide range of activities available in Cebu, love birds will never run out of things to do this Valentine’s Day. Find everything needed to make the celebration extra special at Ayala Center Cebu. Let love sparkle and shine by giving something special like jewelry to a loved one. To celebrate milestones and unforgettable moments, visit PANDORA, an international Danish brand known for their signature charms and hand-finished and contemporary jewellery. 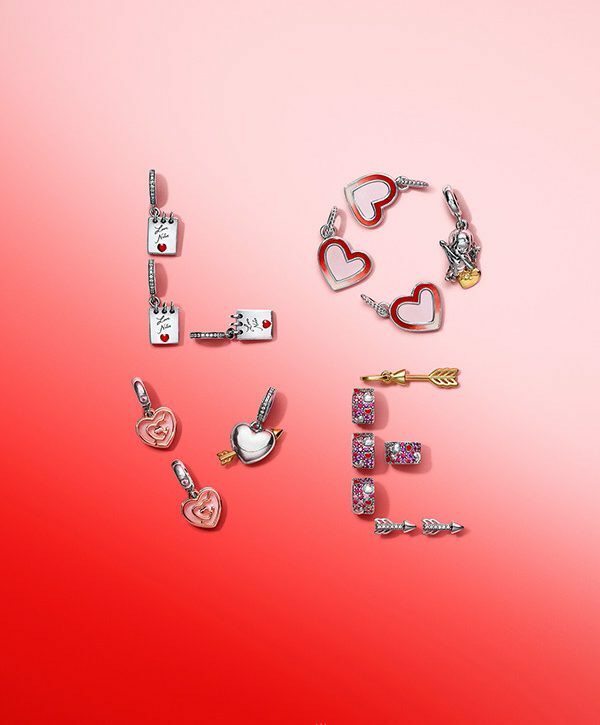 Their Valentine’s Day Collection features special designs such as the Love Script Necklace crafted in sterling silver and set with golden PANDORA Shine letters that sway with every move. One can also personalise their necklace with PANDORA’s selection of charms including the Cupid & You, and the limited edition Arrow of Love charm. The Shape of My Heart Jewelry Gift Set features matching heart-shaped earrings and necklace in sterling silver and brilliant cubic zirconia . The Sparkling Arrows Ring encircles one’s finger to create a stacked effect that spans from the design’s polished tip through glittering stones to the openwork plume. The piece is engraved on the inside with a special message. In Cebu, PANDORA’s hand-finished and contemporary jewellery are available at the PANDORA store at Level 1. For updates, like and follow @pandora.ph on Facebook and @theofficialpandora on Instagram. Flowers on Valentine’s is always a good idea. Surprise a loved with a bouquet of fresh blooms from Holland Tulips at Level 1, Paseo Verde or Kalidades in Rustan’s Supermarket. Love and affection are also best expressed with handwritten messages on sweet and witty gift cards available at Fully Booked at Level 2, The Terraces and National Bookstore at Level 2. For cute and quirky gifts such as pillows, stationery and stuffed animals, drop by Tickles, Blue Magic, and Roy & Biv all located at Level 2. Head down to the cinema with that special someone and enjoy the latest movie offerings. Action lovers will enjoy James Cameron’s futuristic film, “Alita: Battle Angel” and action thriller “Headlock”. Romance flicks are also showing with the rom-com “What Men Want” and Filipino romantic film, “Alone Together”. Begin the Day of Hearts with a cup of coffee and fresh croissants at Abaca Baking Co., Level 1, The Terraces. For a romantic ambiance, dine at Tavolata at Level 4, The Terraces. Indulge in their wide range of dishes from their housemade pasta to their handcrafted pizza. Visit @theabacagroup on Facebook and Instagram. 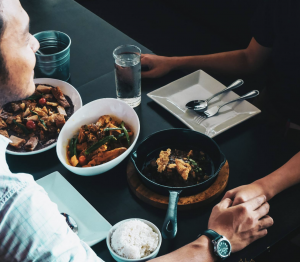 From shopping for gifts to romantic feasts with your loved one, make the most out of Valentine’s Day at Ayala Center Cebu, the region’s premier lifestyle destination. For the latest updates, like @AyalaCebu on Facebook and follow @ayalacentercebu on Instagram. Get ready to seize summer! 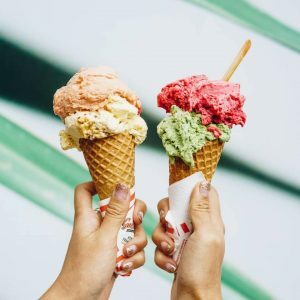 Rustan’s makes your summer adventures more memorable this 2018 as it kicks off the hottest season with a mini travel fair. Be taken by wanderlust and find all that you need to plan your most exciting summer escape yet! Celebrate the sunniest season of the year with a lineup of exciting activities for the whole family at the region’s premier destination for shopping, dining and entertainment. Ayala Center Cebu shares this year’s fun-filled activities guaranteed to bring a happy, colorful summer.